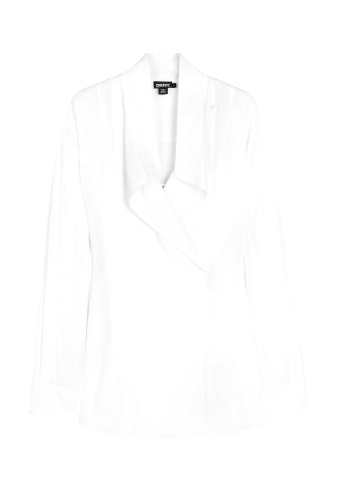 Produktbeskrivning för White Shirt Tail Blouse by DKNY: White silk and elastane mix stand up collar blouse with asymmetric button fastening two side vents buttoned cuffs and a camisole slip. DKNY blouse slips on over the head. Model is a standard UK 8 and is wearing an XS.